Is anyone aware of how technical standards and procedures are implemented at analog sites? Build on solid engineering principles and accelerate the creation more sites. As for safety, recently there was an accident at the HI-SEAS facility that resulted in the cancellation of the mission. During my time on Crew 188 at the MDRS, there was a propane leak that was of great concern for the crew. Collecting these lessons learned and providing a standard for future missions would be really beneficial. In February 2018, there were four Mars analog missions happening around the world. That's a lot of knowledge to be shared. Is anyone aware of anything like this in the works? Personally I'd like to see a single much more sophisticated Mars analogue station: a large pressurised (Mars pressure) warehouse space with Mars analogue regolith and temperatures on a Mars sol/seasonal cycle, and appropriate artificial insolation and radiation levels. Parts of the space could have Mars exploration sumulation (stationary rovers moving on rollers "into" a projected exploration screen. This would probably cost hundreds of millions of dollars but I think it would be worth it. When we are looking at mars the safety will come back to the mission plan and then looking at the potentail for mishaps that could occur. Trips, falls, ect.. will all the practicing at these sites its a good thing that they were not on mars for real. We will never be able to remove the human part of the elements of moving on the surface we can only lessen the chances but a check of the equipment and how its going to be used. Changing the equipment used to make it safer is about looking at the mission. 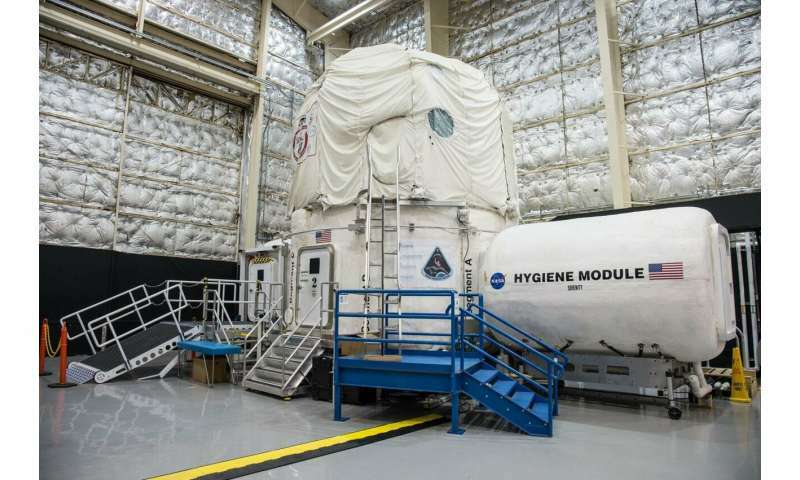 The Northwestern researchers have been culling data from the Human Experimentation Research Analog (HERA) at Houston's Johnson Space Center. HERA's capsule simulator houses crews for up to 45 days; a mock mission control outside the capsule augments the realism with sound effects, vibrations and communication delays. Those on the inside undergo sleep deprivation and try to perform tasks. The researchers collect moment-to-moment metrics about individual performance, moods, psychosocial adaptation and more. NASA has formalized plans to send a crewed spacecraft to Mars, a journey that could involve 250 million miles of travel. Identifying and building shared mental models, whereby a team of varied specialists can find enough common ground to effectively accomplish their tasks but not so much that they engage in "group think" or form alliances. Simulation for the LOP-G moon station but this could be mars as well. A group of American and Russian volunteers this week were sealed into a collection of mock space modules in Moscow at the start of a four-month isolation experiment intended to simulate a mission to the moon. There, they will be confined to a collection of cramped tubular constructions inside a hangar-like hall at the institute for 120 days. The modules are hermetically sealed, meaning they have their own atmosphere, and the crew will not leave or see any other human beings for the duration of the mission. The simulation, called SIRIUS-19, is an unusually lengthy isolation experiment organized jointly by the Russian Institute and NASA. It one of a number of international experiments underway that's intended to help inform plans for future deep space travel by studying the physical and psychological effect of months-long isolation. 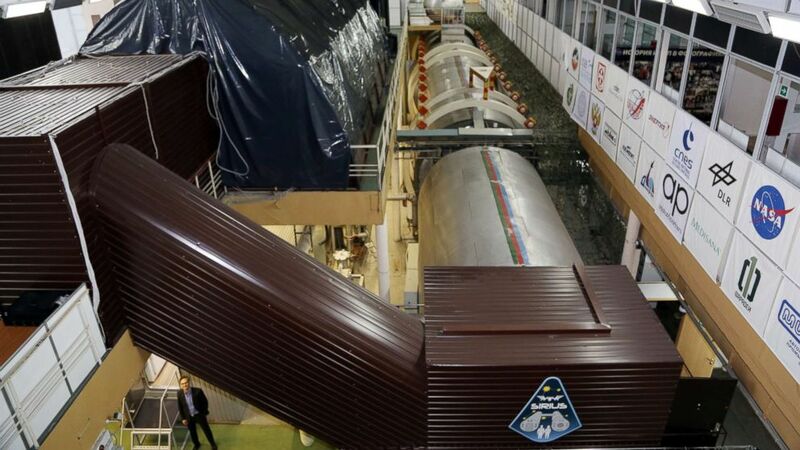 The modules are linked by metal tunnels that have to be crawled through, sealed off by hatches modeled on those from Russia’s Soyuz spacecrafts. The living quarters are roughly about 40 meters squared -- a long corridor with submarine-like cabins that contain a tiny desk, a cupboard and a bed. A kitchen area is furnished with just a microwave and hot water. A common area for relaxation has some beanbags and a large television. The team’s mission is multi-stage. First, they must make the 10-day flight to the moon, where they will simulate docking with an orbital station. 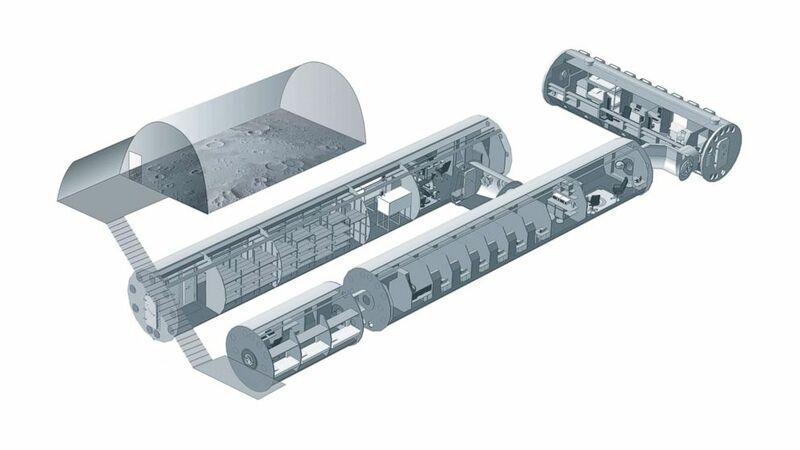 Two of them will then leave the living modules, landing to the “surface” of the moon -- another enclosed area where the two explorers will wear virtual-reality goggles as they collect samples and fix a damaged moon rover. New modules will open to the crew as they progress.